Hands down my favorite thing to add to any outfit is a hat! It's the easiest thing to throw on when you don't want to do your hair OR you just want to complete your look without getting to dressed up. I'd say I end up throwing a hat on 2-3 days a week. I'm a really minimal accessory gal, I think less is more so I always have a few go to simple necklaces or hats that go with everything that I can wear over and over. I'm sure a lot of you are big fans of dry shampoo too so this is the cure all to that last day hair before you're forced to wash it, ha! 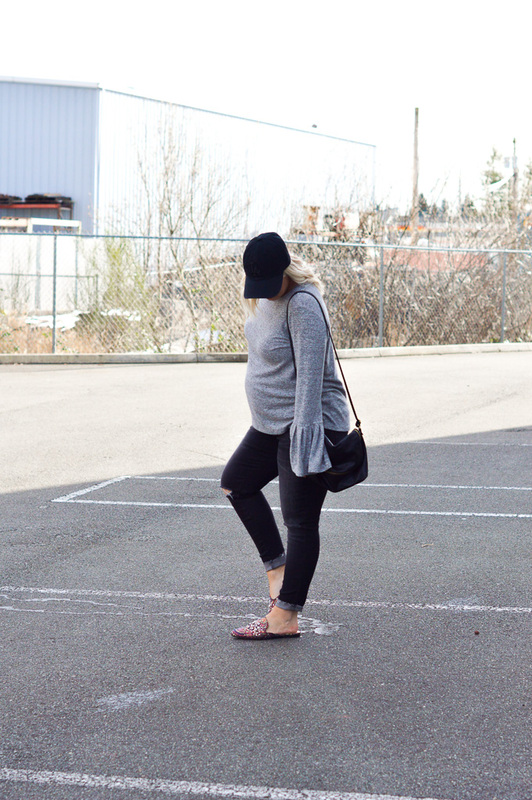 Especially with being pregnant I am sticking to really simple outfits and buying shoes and accessories to switch it up. I've started hearing more about a capsule wardrobe and I'm so interested! Basically you have like 25 pieces in your entire closet (5 of everything) that all can be interchanged and worn in different patterns and create a different outfit everyday. It really simplifies your wardrobe and style and you can switch it up for different seasons. Have you heard of that? I think it's genius! 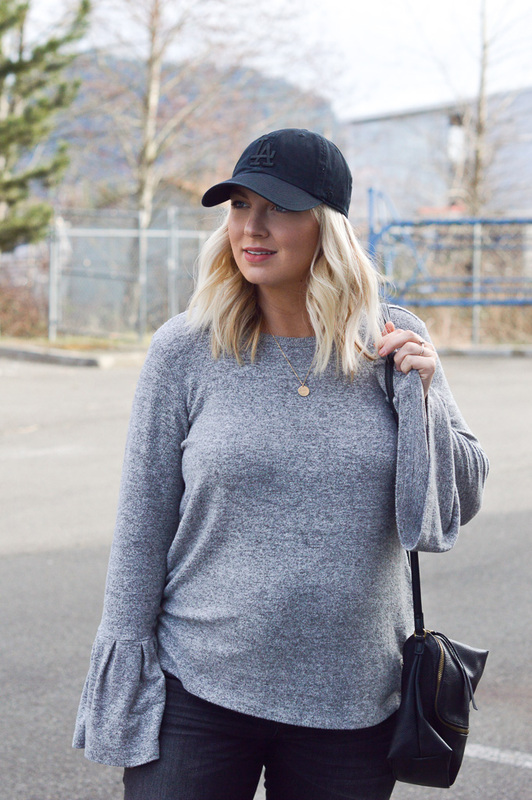 In a world that is so obsessed with quantity and having more I think it's so refreshing to have a few bloggers I follow sharing how they really dress or have cut back on clothing to create a few staple outfits they actually wear over and over. 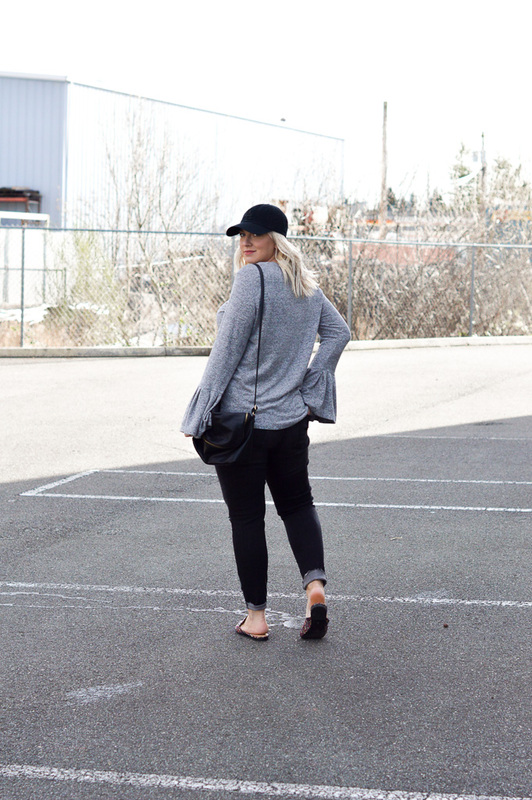 I have an addiction to shoes and beauty products but I could for sure simplify my wardrobe with a few favorite pieces - I feel like I usually wear my favorite things over and over through a season anyways! What would you put in your spring wardrobe? I would for sure do a tight t-shirt dress, jeans, a cute blouse (one with "poofy" sleeves or embroidery) and then maybe a cargo jacket and some birkenstocks. Then mix in a few t-shirts and switch up the accessories like hats! Right? If you have any idea go comment on my instagram post with this outfit!